The world faces increasingly complex problems that have taken on global significance, including conflict and peace building, humanitarian crises and intervention, international economic inequality and instability, and global environmental change. How are these problems addressed at the global level? And are the mechanisms adopted to address them effective and just? 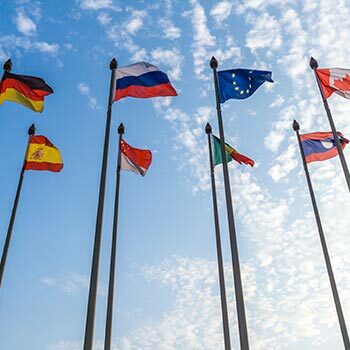 Our PhD in Global Governance, offered jointly by Laurier and the University of Waterloo at the Balsillie School of International Affairs, is a unique opportunity for interdisciplinary examination of power and authority in the global arena. In this program, you’ll examine the variety of actors, institutions, ideas, rules and processes that contribute to the management of global society. In addition to international organizations and inter-state relations, the study of global governance examines the various non-state actors as well as the realities of contemporary life that contribute to the establishment and functioning of global rules, norms and institutions. The expected time to completion is four years. Eligible domestic students admitted to study on a full-time basis receive a minimum of $24,000 a year. This support may be made up of teaching assistantships, internal/external scholarships, and/or faculty-funded studentships or research assistantships. A master’s degree in political science, history, economics, international development studies, international peace studies, globalization studies, environmental studies, or a related field with a minimum A- standing. Applicants whose native language is not English must provide evidence of proficiency in English prior to admission. Our graduates have gone on to tenure-track positions in a number of universities in Canada and abroad, and researcher positions with the Government of Canada.